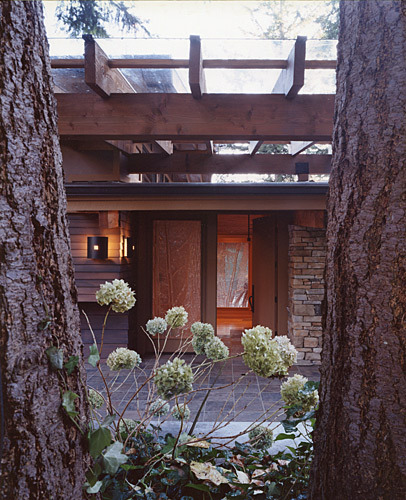 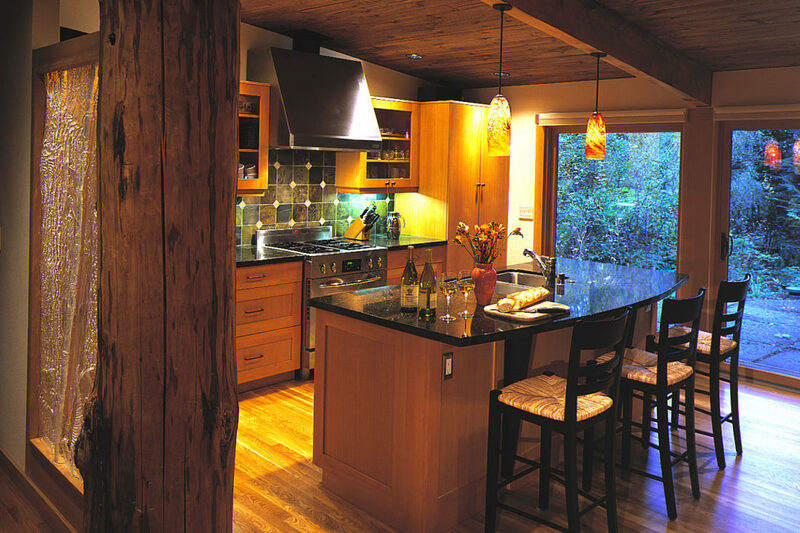 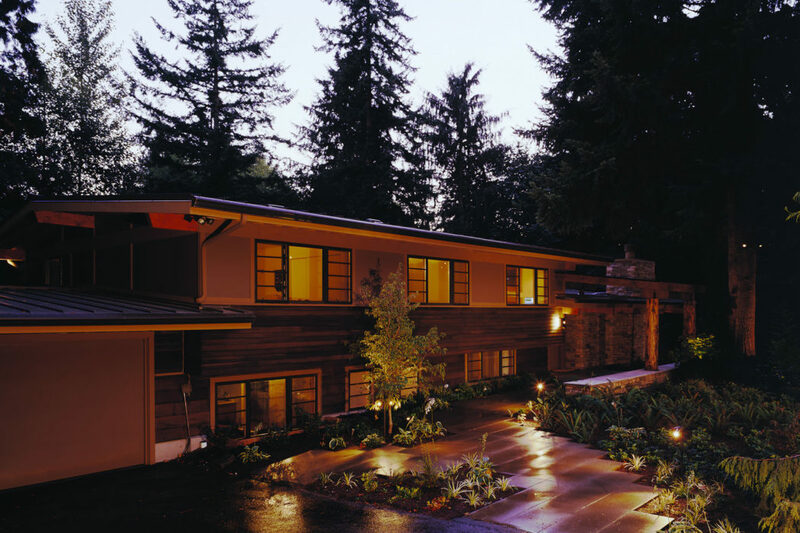 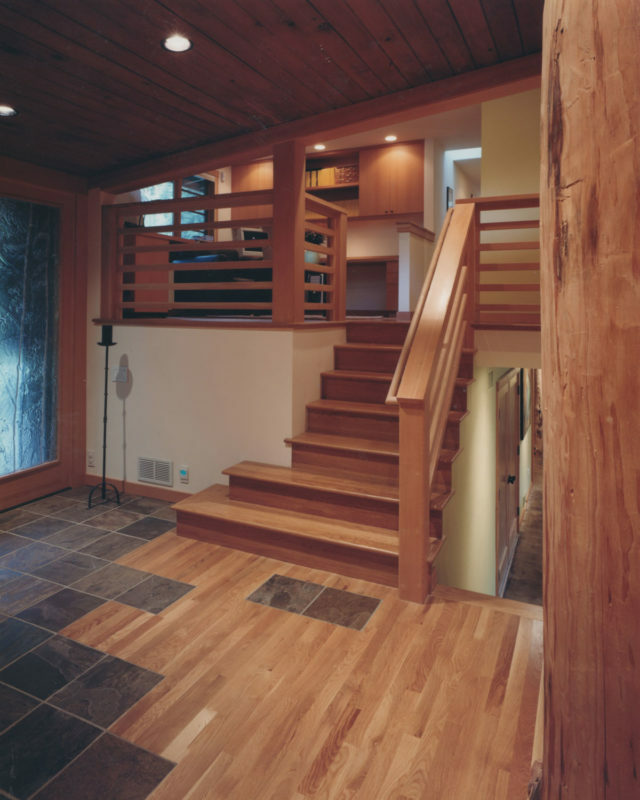 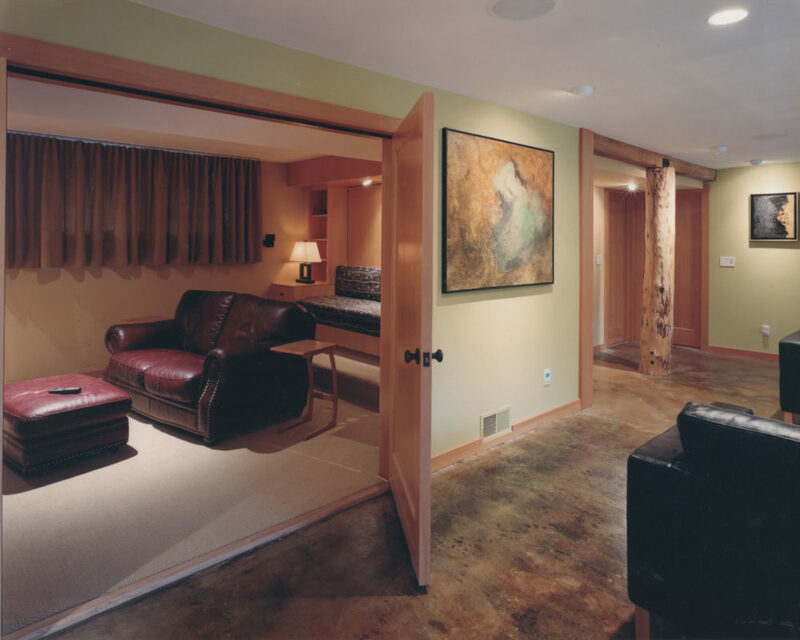 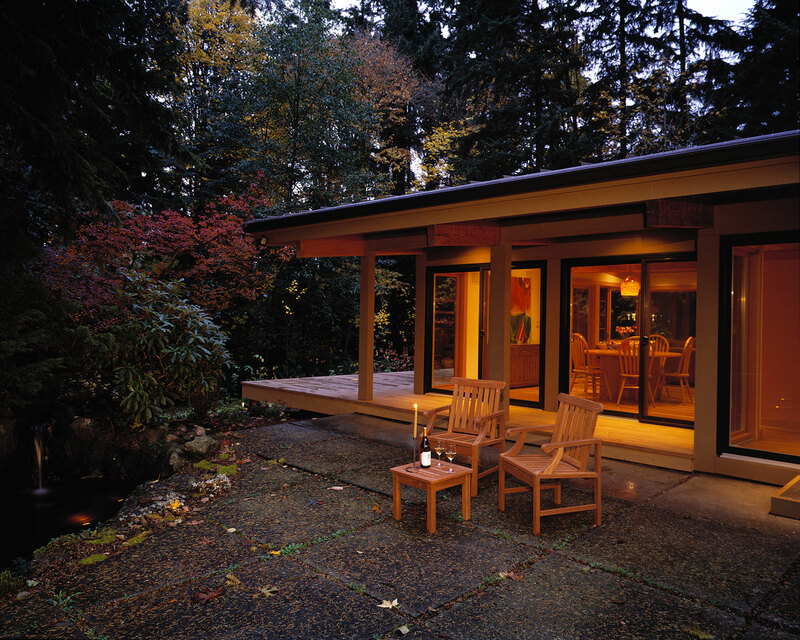 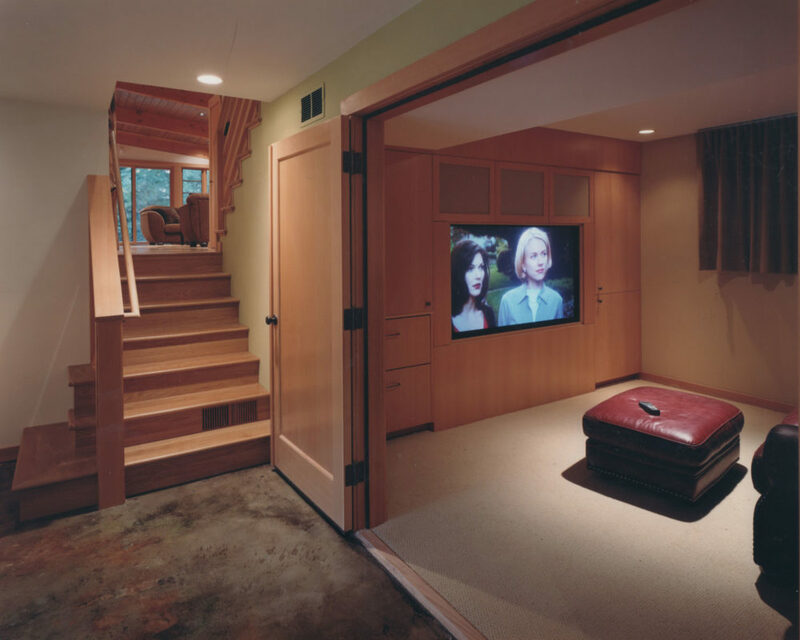 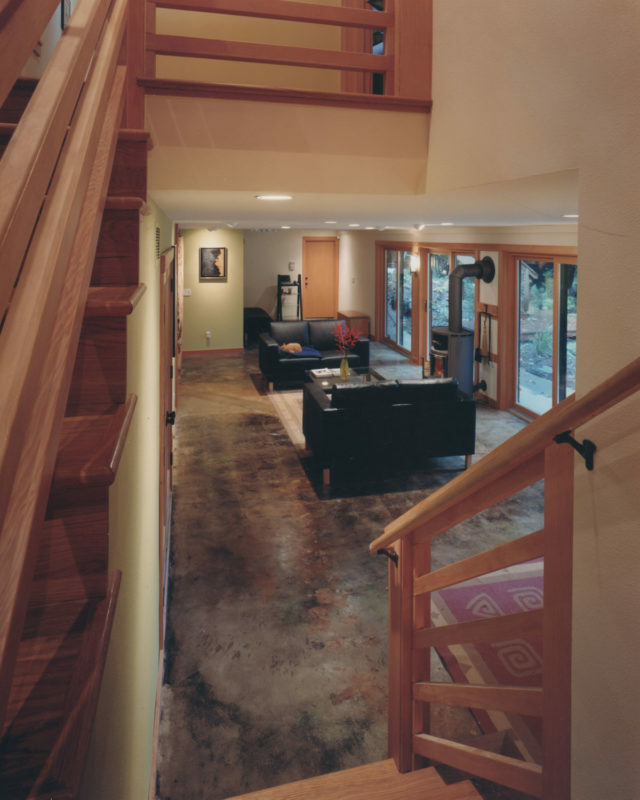 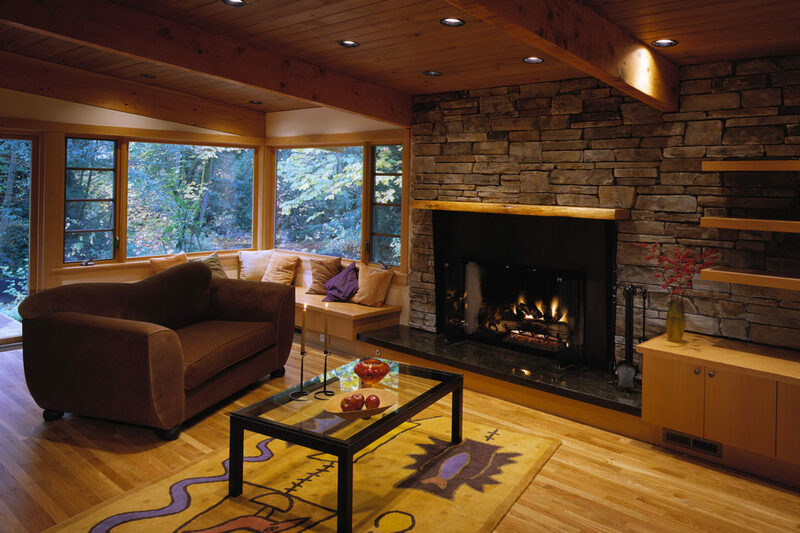 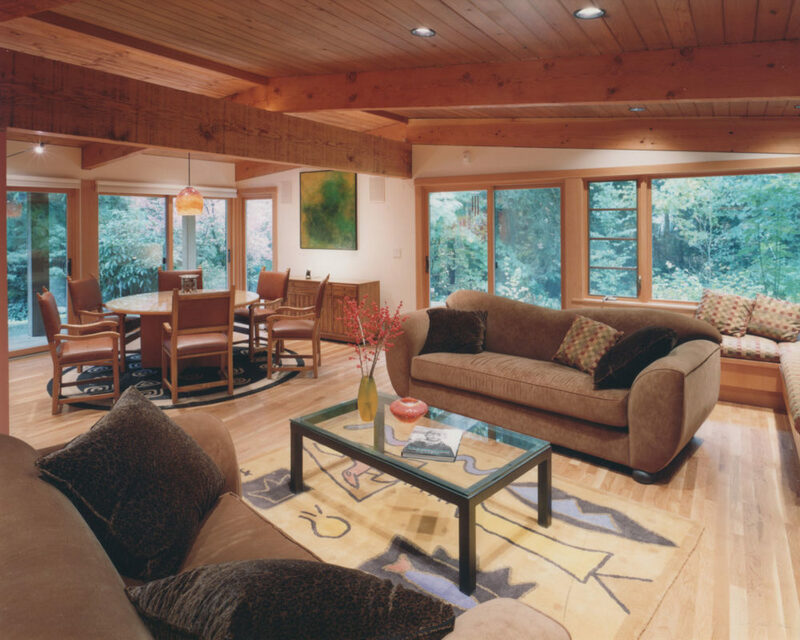 Given the old-growth beauty of this Bellevue property our remodel focus was to open the house to connect with the exterior as much as possible, and to open up the interior for a more spacious feel. 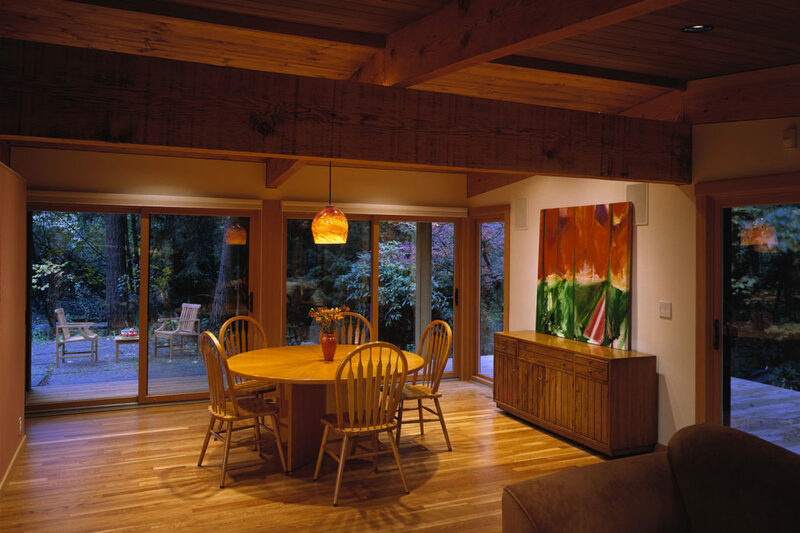 Newly exposed beams, tree trunk posts, deep overhangs and sliding glass walls now lend the quality of a Northwest contemporary lodgehouse. 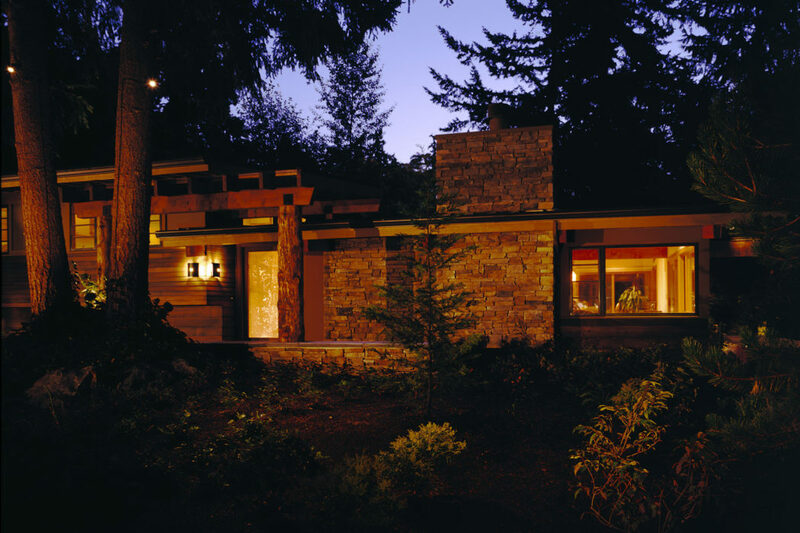 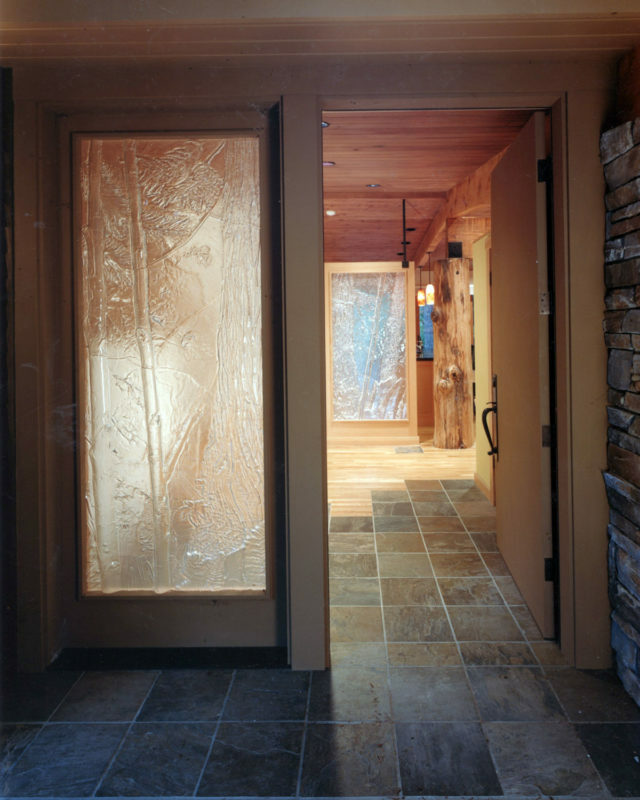 The palette consists of simple natural materials: fir trim, stone, slate, and striking steel and glass features by local artisans. 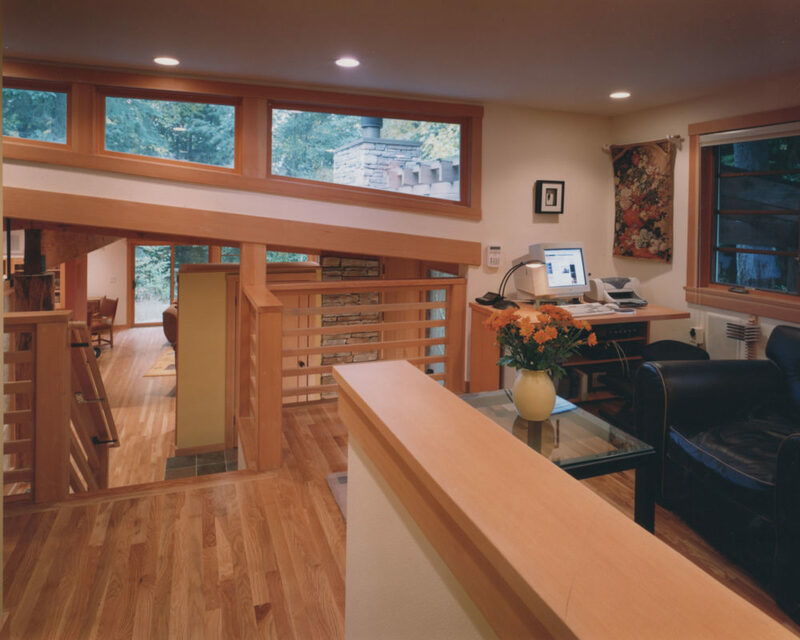 Several publications have featured this project, see the Seattle Times/AIA Home of the Month, the excerpt from Inspired House, and an excerpt from Inside the Not-So-Big House.